Aircraft carrier USS Abraham Lincoln (CVN-72), with embarked Carrier Strike Group 12 (CSG-12) staff and the guided-missile cruiser USS San Jacinto (CG-56), has left the Florida coast, having turned over the Navy’s sea-based Hurricane Irma relief efforts to Carrier Strike Group 10. Thursday night, Carrier Strike Group 10 – amphibious assault ship USS Iwo Jima (LHD-7), amphibious transport dock ship USS New York (LPD-21) and Arleigh Burke-class destroyer USS Farragut (DDG-99) – arrived in position off the coast of the Florida Keys. Lincoln and San Jacinto are scheduled return to Norfolk on Friday. 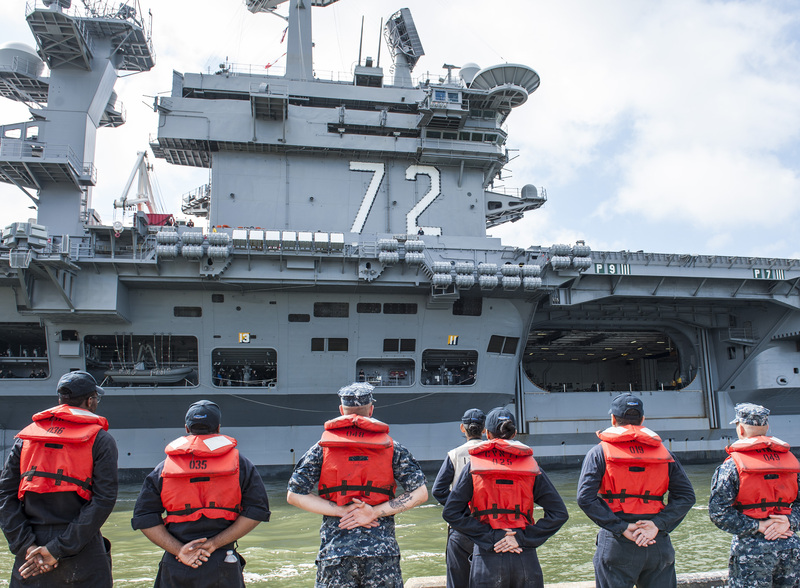 The three Carrier Strike Group 10 ships bring 2,400 sailors and Marines who can provide logistic support, medium and heavy lift air support, medical support, maritime civil affairs support, and maritime security. The ships will also continue the relief work started by Lincoln crew members, who flew water and supplies to Naval Air Station Key West, Marathon, Port Everglades, and Homestead Air Reserve Base near Miami, according to a statement released by the Navy. The ships can also provide search and rescue and medical evacuations, if requested. Lincoln and San Jacinto departed homeport Norfolk last week before Hurricane Irma made landfall in the U.S. Lincoln was the first Department of defense responder to provide search and rescue support to civil authorities in the Florida Keys after Hurricane Irma made landfall Sunday morning, according to the Navy. Lincoln arrived with 2,800 Sailors and 14 MH-60 helicopters from Helicopter Sea Combat Squadron FIVE (HSC-5) and Helicopter Maritime Strike Squadrons (HSM) 70/72/74. Meanwhile, the Coast Guard deployed three teams Friday to locate and report marine pollution and targets for salvage operations. The team will also be repairing Rescue 21 communication towers to restore full search and rescue capabilities. During this process of assessing damage, the Coast Guard is encouraging marine traffic to avoid waterways near the Florida Keys. 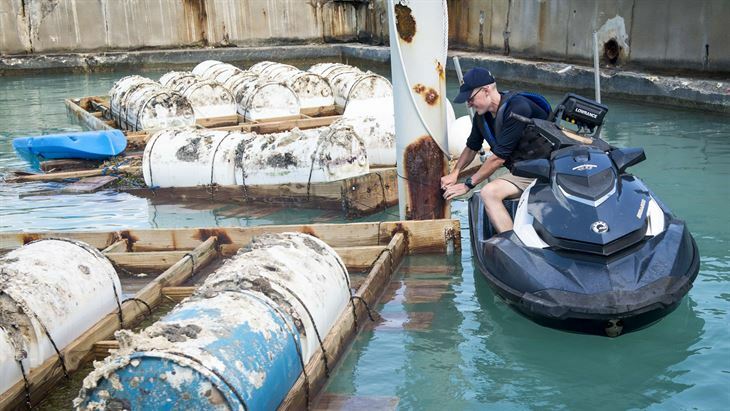 The port of Key West, Fla., remains closed because of damage to the port and dangers posed by debris in the water.